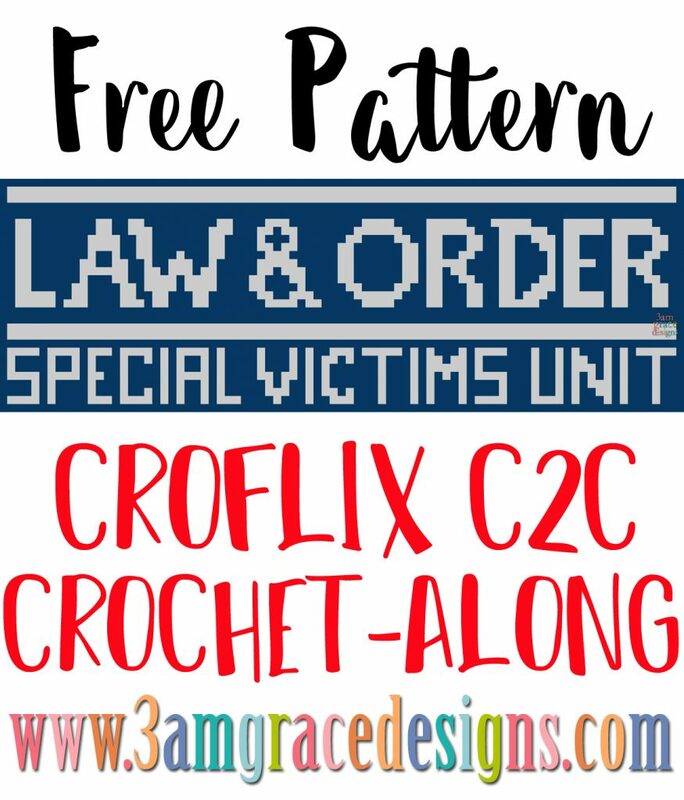 We’re excited to release our Law & Order panel for the Croflix C2C CAL! If you have questions about requesting your favorite panels, please refer to our original post Croflix C2C CAL. It has all kinds of great information! We are no longer accepting Croflix panel requests. We’d love to encourage you to think outside the box with regards to your background colors. Most TV Show logos are done in reds, grays, white and black. That can get kind of boring. There are some beautiful variegated yarns out now that would be perfect for this lapghan! So have fun! If you haven’t joined our Facebook Group – please do! It’s a great group of crocheters all helping and supporting each other with 3amgracedesigns. Download the Law & Order chart. Download the Law & Order written instructions.